Come see this stunning 3 bed townhouse with tons of space & a large open floor plan! First floor features a beautiful kitchen with stainless steel appliances & granite counters, that flows into the living room, which has a gas fireplace & slider to the private deck. Family dinners are a must in the spacious dining area, & the first floor also sports gleaming hardwood floors, a 1/2 bath, & direct access to the two car garage. Upstairs, you will find a large master bedroom, with walk-in closet & enormous master bath that has double sinks, glass shower, & a jetted tub! Two other generously sized bedrooms, both with walk-in closets as well, are perfect for a young family. Laundry, a 2nd full bath, & a lovely loft area with vaulted ceilings & skylights finishes the 2nd floor. 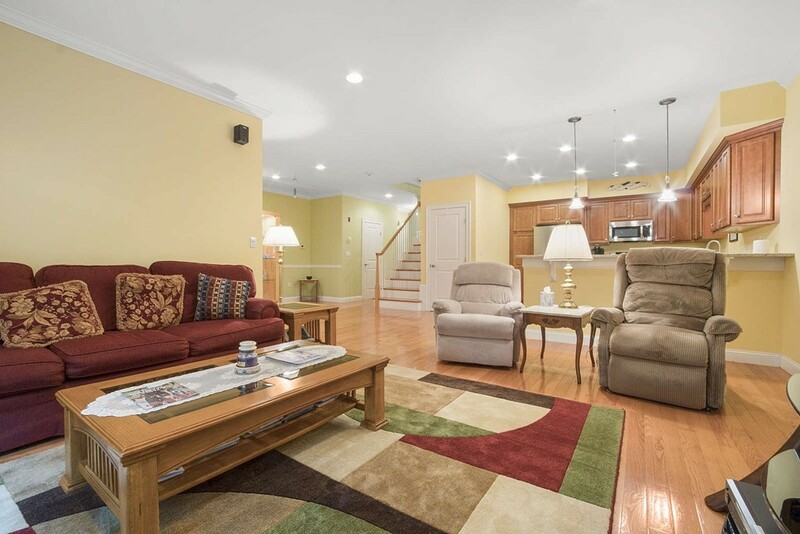 Head downstairs to the massive finished basement family room, which is perfect for a play area or game room! Tons of storage & lots of natural light throughout! Centrally located, well-maintained & move in ready! !